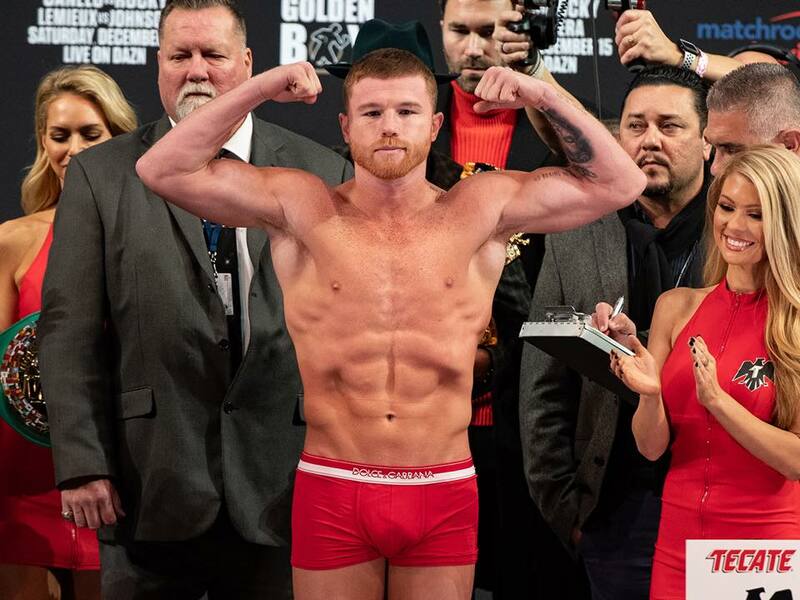 Fighting out of Guadalajara, Jalisco, Mexico, Saul “Canelo” Alvarez, 28, recently captured the World Boxing Association Super Middleweight Championship. He dethroned Michael “Rocky” Fielding, 31, of Liverpool, Merseyside, England, who held the title for five months. Fielding became the WBA Super Middleweight Champion on July 14, 2018. He dethroned Tyron Zeuge, 26, of Berlin, Germany via a fifth-round technical knockout at the Baden-Arena in Offenburg, Baden-Württemberg, Germany. On December 15, 2018, Suarez challenged Fielding at the Madison Square Garden in New York City, New York United States. Jesper D. Jensen was the supervisor while Ricky Gonzalez was the referee. Eric Marlinski, John McKaie and Kevin Morgan served as the judges. The bout was not left in the hands of the judges. In the first round, Fielding started on the front foot but he took some brutal body shots and was down once. Hurt by Alvarez’s left hand, the British boxer took the knee and got through the rest of the first round. In the second round, Alvarez was landing all over the place. Another shot downed Fielding but he managed to survive. In the third round, Alvarez used his right to hurt Fielding with two massive body punches. These sent the British boxer to his knees twice. Gonzalez put a stop to the bout after 2 minutes and 38 seconds in the third round. The Mexican boxer was declared the winner via technical knockout and became the second boxer to ever defeat Fielding, following Callum “Mundo” Smith, 28, of Liverpool. The victory improved Alvarez’s professional boxing record to 51 wins, 1 win and 2 draws. On the other hand, Fielding now has 27 wins and 2 losses. Floyd Mayweather Jr., 41, of Las Vegas, Nevada, United States was the only fighter to defeat Alvarez. The former is still undefeated with 50 wins. Born in Guadalajara on July 18, 1990, Alvarez is the youngest of eight children, six of which also became professional boxers. As a boxer, he has been competing professionally since 2005.